The LOFT SAUNA® harmonises optically with the rest of the complex, whilst the sauna garden offers guests stunning panorama views over the mountains. Total area: 2000m². Indoor area: 500m²: “Mind” sauna, SANARIUM®, steam bath, relaxation area, sauna bar, massages, sunbeds. Outdoor area (excluding pond): 1500m²: Sauna garden with LOFT SAUNA®, kelo wood log cabin sauna, panorama relaxation room, sauna lake. 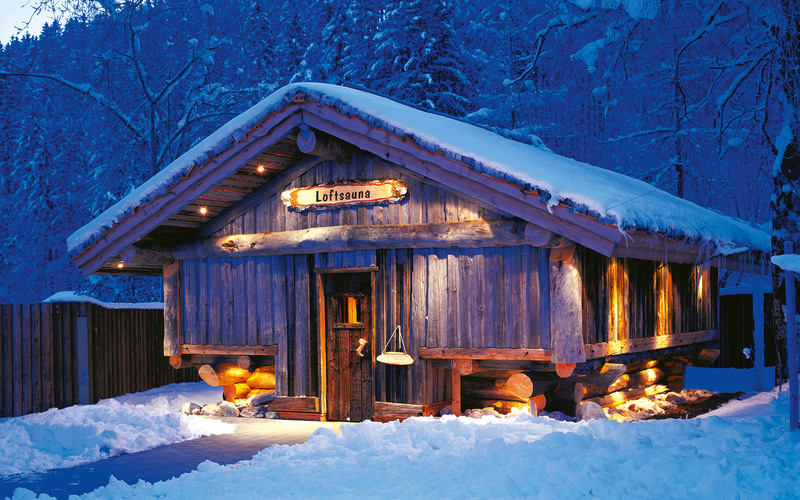 The LOFT SAUNA® in Nesselwang was the first of its kind in Germany – and was conceived and developed by KLAFS. 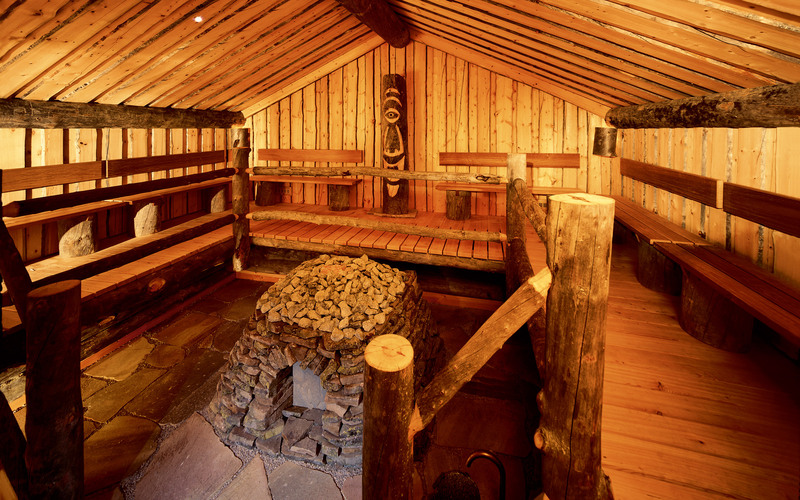 Here, guests sit in a gallery – the “loft” – around a huge sauna heater, watching the sauna master as he pours water ceremoniously and lavishly over two tonnes of hot stones. The original Finnish sauna elf, the “haltija”, presides over the ritual with a watchful eye. In Alpspitz Leisure Centre, guests can enjoy the luxury of cooling down outside after a turn in the sauna by jumping into the wonderfully fresh and icy cold water of a natural pool, fed by crystal clear mountain water.